I am beyond excited to share with you today’s episode, the newest in our A Chat With series featuring none other than the wonderful Hector Miray from Faith and Fandom. 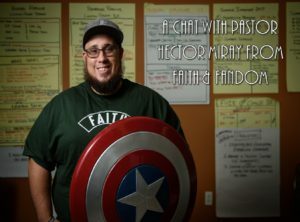 As y’all know, Pastor Hector and the Faith and Fandom is someone who inspired me to start doing the podcast and has become someone I really look up to – I love that people are able to organically find the gospel in geek culture – so just a heads up, at points I go full on fanboy. Hector was awesome enough to take some time out of his busy day to share about his story, some of his favourite movies and comics, influences, and how the Lord is using him to reach out to those in geek culture. This episode was a blast! You can find Faith and Fandom on Podbean at here, on Instagram here, and the fantastic books on Canadian amazon here. 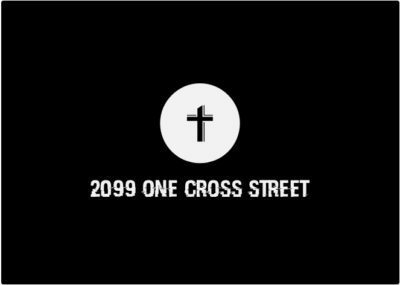 You can also check out Vertical Church’s website to learn more about them here. Thanks for listening, I hope you enjoyed and learned as I did, and share if you can. God bless my friends.